2 years - novice fitness enthusiast to representing GB! My journey with Cardiff Personal Training Studio started when, well, I got a bit fat. I seemed to have forgotten that I couldn’t eat and drink whatever I wanted, sit on the sofa and stay a healthy weight. I woke up one morning and realised that something had to change. I got on to the scales and vowed that I’d never lose control again. I did the usual – started watching my diet and got back into exercise, but something was missing. This is when I got in touch with Cardiff Personal Training Studio. I was recommended to them by a friend who had trained with them after the birth of her first child and she couldn’t give them enough praise. I wanted to have fitness goals that didn’t solely focus around what the scales said. I wanted to get lean, strong and build muscle. Pretty soon after starting training with John we discovered that I was pretty strong naturally and I started looking into competitions that I could enter to give my training a new focus. This is when I discovered Powerlifting. John helped me prepare for my first competition and I haven’t looked back since. I won my first competition, securing a Welsh record in the progress and pretty soon got involved in National competitions. 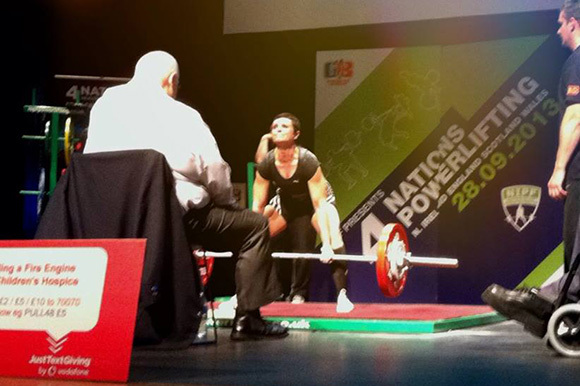 I now represent Wales internationally and in 2013 took second place at the British Classic Powerlifting Championships. Whatever your goals, I couldn’t recommend Cardiff Personal Training Studio enough. They are encouraging and supportive and really go the extra mile to help you achieve whatever your goals may be.